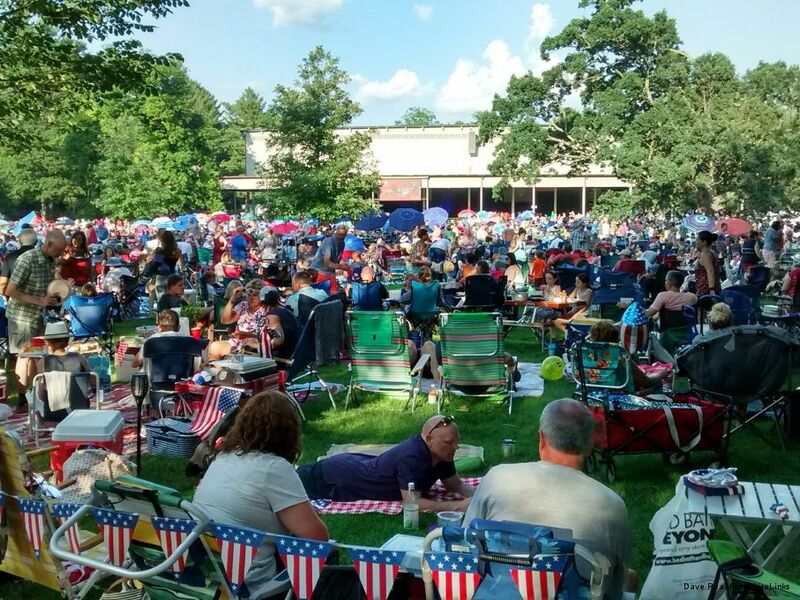 Something about James Taylor’s Fourth of July concert at Tanglewood felt low-key, but that’s in reference to a dozen or so such, which always rank among the most exciting shows of the year. Our expectations may have been out of whack because his July 4, 2008 show exploded into a celebration of his sixtieth birthday. Maybe now that the ¾ century mark is within shouting distance, seventy is not so big a deal? My reading of the show doesn’t extend to the usual aspects, such as the favorites-filled setlist of 25 songs, the 218 autographs from the lip of the stage during intermission, nor the revival-like 3 song encore when everybody got into the act, nor his awesome band. I thought he ceded primacy to Mike Landau on Steamroller, which his ace guitarist did not squander, before cutting loose with his own axe-indulgence during a coda that would not quit. 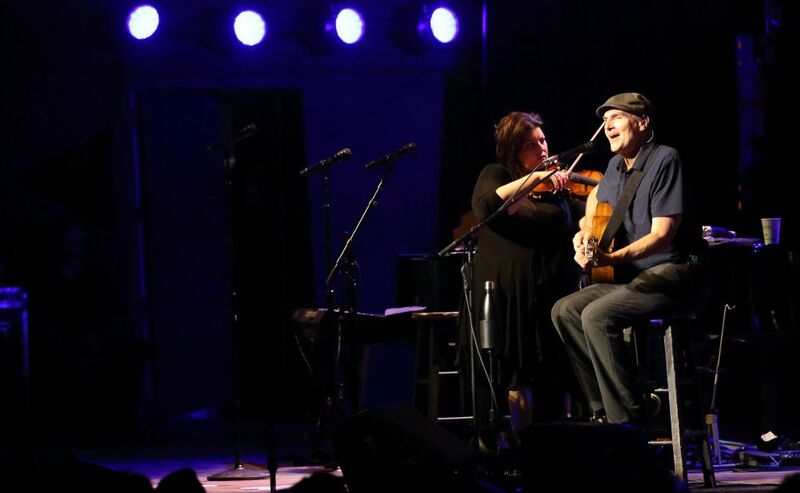 James Taylor is a master of stagecraft, that aspect of a musician’s duty to an audience that cannot help but color his virtuosity and singing. Stagecraft, a.k.a. patter, is the golden thread a singer weaves through a performance. 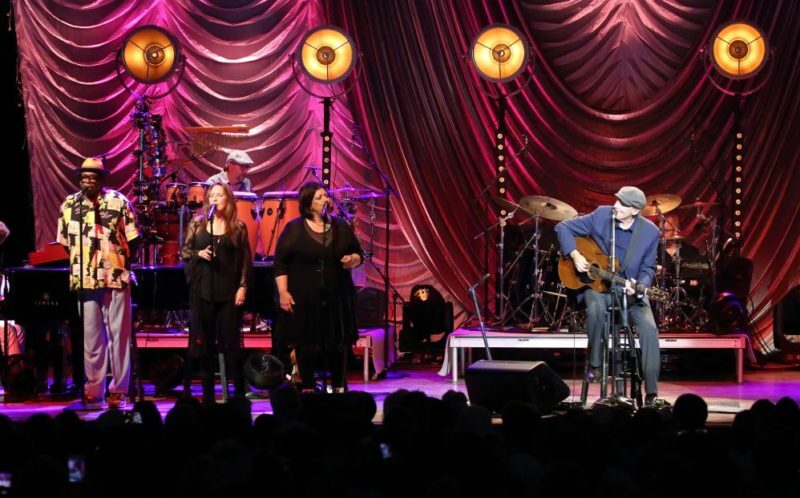 James Taylor is so good at it sometimes that it steals the show; tonight it was spot-on, meaning that I wouldn’t have noticed it, except that I had an eye out for it. 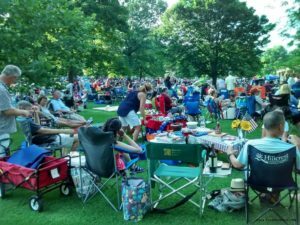 The Fourth of July James Taylor concert at Tanglewood is a “bucket list” sort of event; it is a musical performance with social implications elbowing their way to the fore. It is a generational thing, with an abundance of kids running around and no shortage of patrons for whom the metaphorical bucket is the last thing they want to be thinking about. 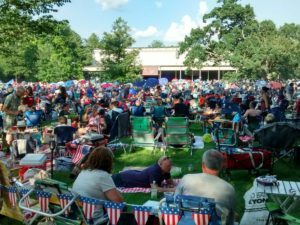 Not annual, but since Mr. Taylor built a house near October Mountain seventeen years ago, there has been at least one James Taylor Tanglewood show almost every year. Here are snapshots of Lawn Nation, as James Taylor likes to call his Tanglewood audience. 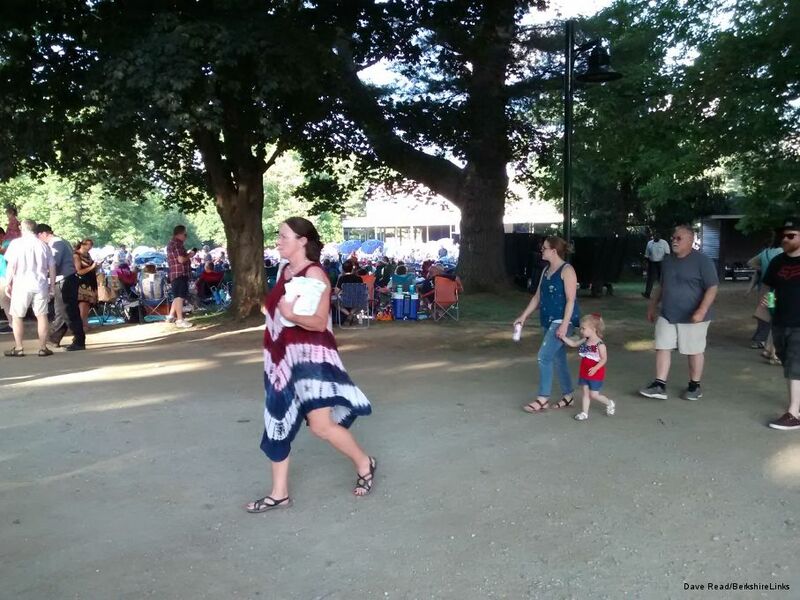 The images were made around half past six, July 4, 2018.